Why not give a unique gift this time? 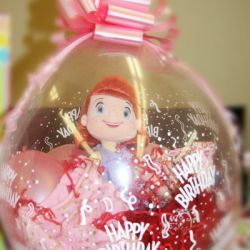 Instead of the same old gift basket, fill a balloon! 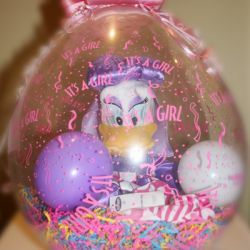 Stuff an 18″ balloon with a stuffed animals, candy, clothing, money, etc — anything that will fit into the an opening of 4″. 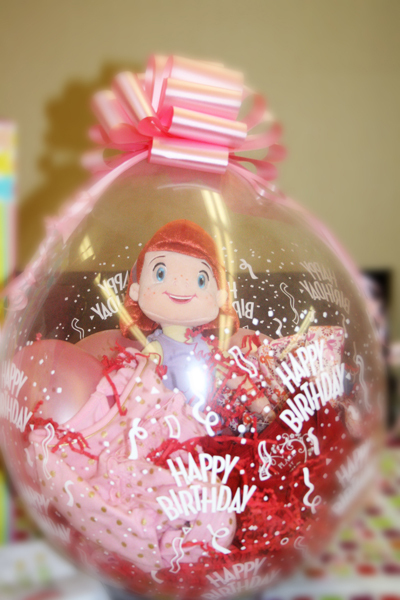 We will fill the balloon for you, with items you bring to us. We will accent it with shredded paper, a large bow and a saucer stand. Call for quotes for pricing. 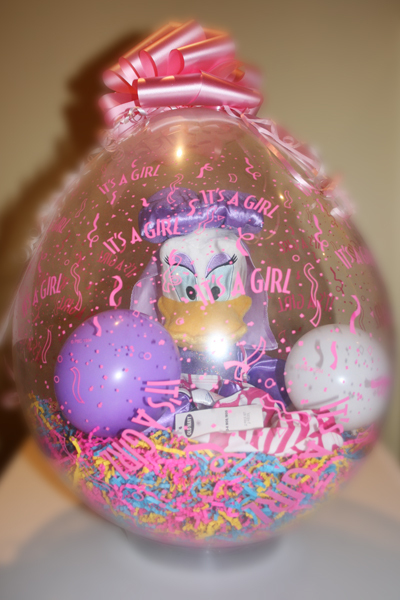 Note: We will only fill your balloon with non-living things and no really sharp edges!